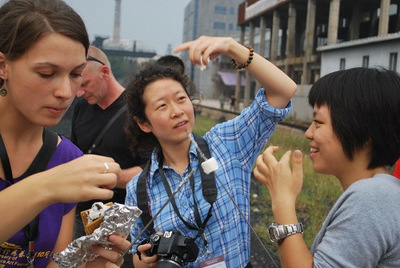 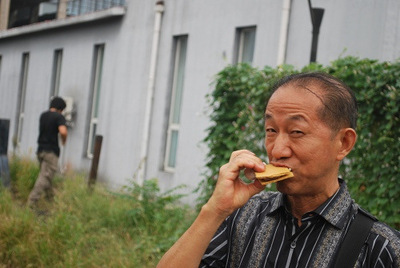 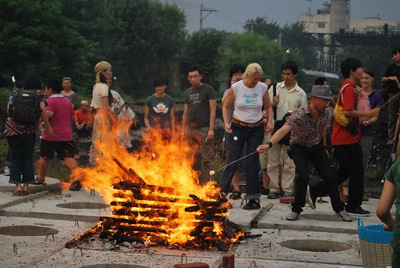 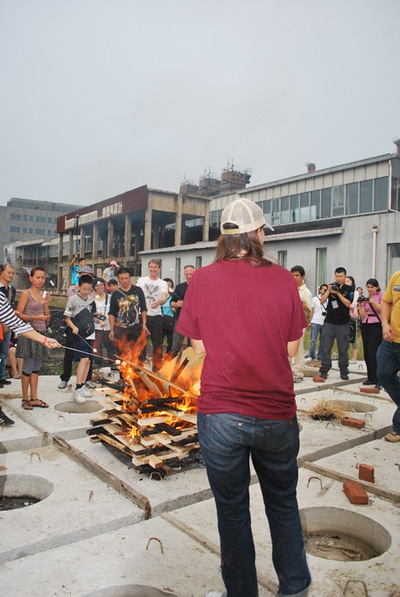 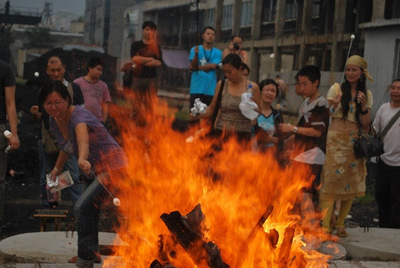 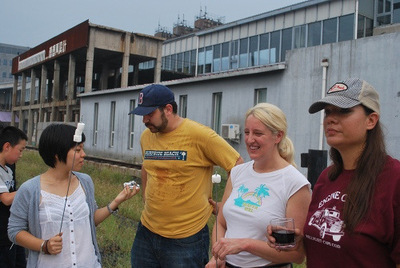 S'mores was performed on September 5, 2009 as part of the 10th Annual Open Art Performance Festival, curated by Jill McDermid and Chen Jin, in Beijing, China. 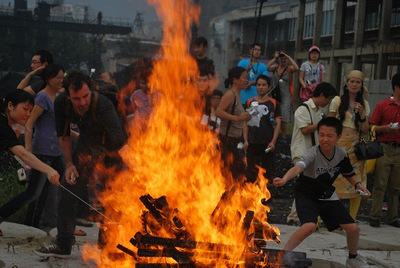 In this performance, I re-enacted a familiar American family ritual of making s’mores around a campfire with the audience of about 100. 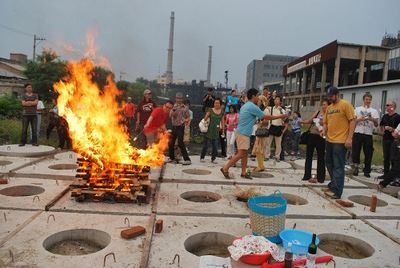 In a site near a coal transfer station outside the gallery of the Open Art Realization Center, I set up a giant bonfire, and got it burning with the help of the audience who added kindling and fanned the flames. 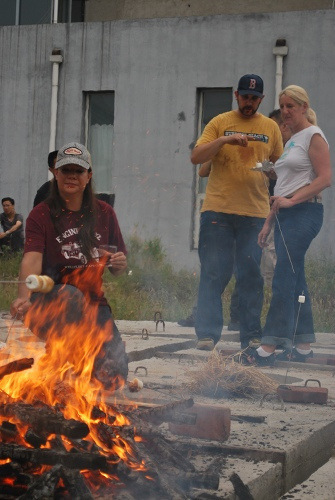 I and my family members, played by Matt White (Dad) and Jill McDermid (Mom), passed out skewers, marshmallows and chocolate to all of the attendees, while my family’s classic rock favorites played in the background. 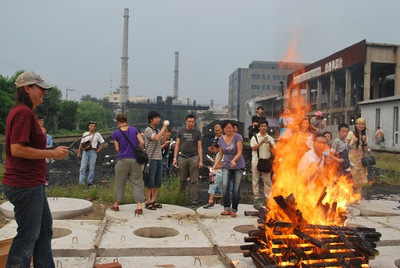 The fire was so hot that people had to lunge in quickly to roast their marshmallows. 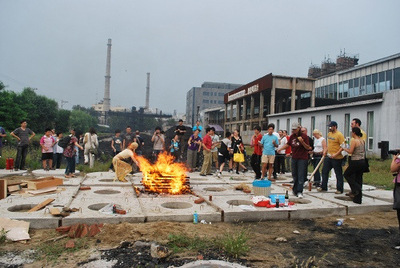 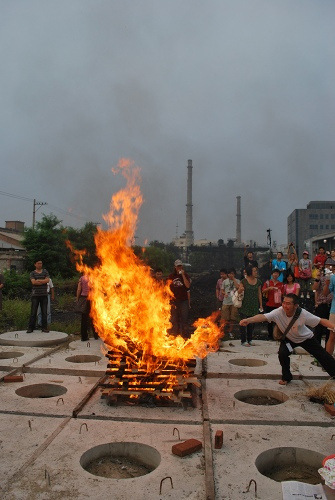 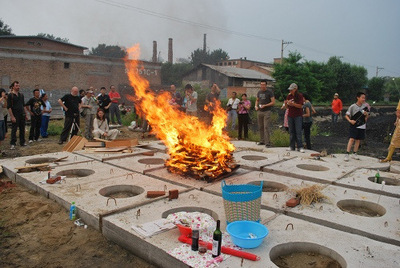 The performance lasted for about 45 minutes until the Chinese police came by and asked us to put out the fire for fear that it would catch the nearby coal repository on fire.